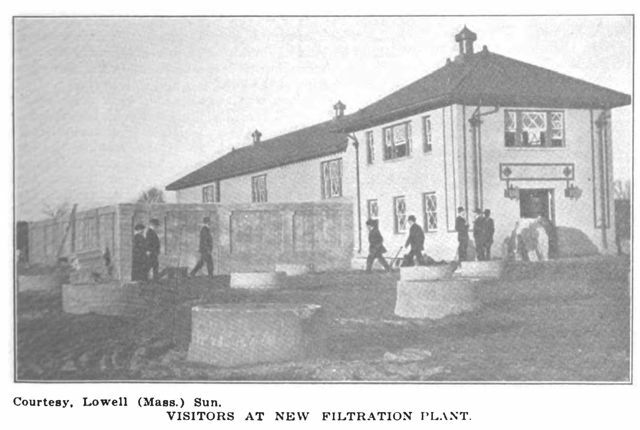 December 31, 1914: Municipal Journal article—Progress of Lowell Filtration Plant. “About 80 men are working all day and part of the night on the new boulevard filtration plant and the contractor hopes to have the job completed before August 1, 1915, the time limit, as the weather has been very good, but there have been a number of delays due to caving in of the sand banks. The filtration plant consists of six coke prefilters, 10 feet in depth and two-fifths of an acre in total area; a settling basin, divided into two unites, with a total capacity of 500,000 gallons; six sand filters, with a total area of one acre; and a filtered water reservoir of 1,000,000 gallons capacity…. This entry was posted in Year 3 TDIWH and tagged drinking water, filtration plant, Great Lakes, Lowell, Massachusetts, public health, typhoid fever, water, water history on December 31, 2014 by safedrinkingwaterdotcom. December 30, 1908: Municipal Journal and Engineer article–Spring Water Supply of Abilene. By A.C. Romig, City Engineer. 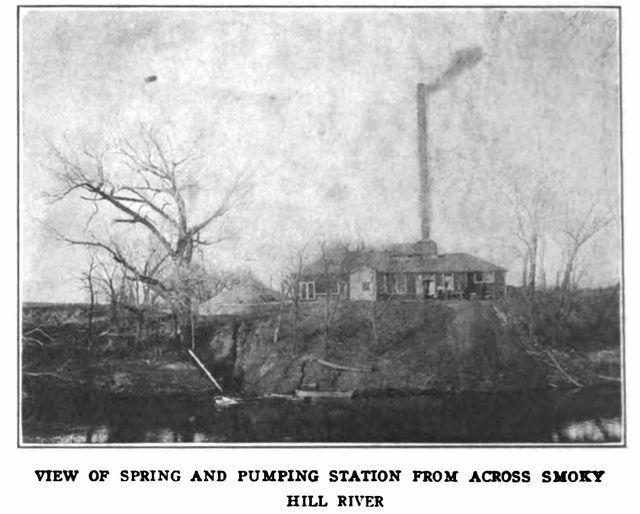 “The source of water supply for the city of Abilene, Kan., is a remarkably strong spring of pure, soft water located on the left bank of Smoky Hill River, four miles west of Abilene, fifty feet north of the shore line and one foot above low-water mark in the river to the surface of the spring. It is on the line of the old Fort Riley and Santa Fe trail, and on the present route of three Trans-Continental lines of railway….In the late [eighteen] forties, during the California gold fever, and in the fifties and sixties, this point was a noted camping ground for emigrants crossing the plains, and at an earlier date a resting place for the Indians in their migration north and south, who attached to the spring a multiplicity of Indian folk-lore and superstitions, and poured into the waters of the spring oblations in propitiation of their god Mantau. This entry was posted in Year 3 TDIWH and tagged Abilene, drinking water, Kansas, public health, Santa Fe trail, soft water, spring, water, water history on December 30, 2014 by safedrinkingwaterdotcom. December 29, 1855: William T. Sedgwick is born. 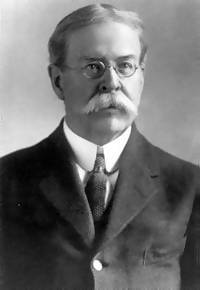 William Thompson Sedgwick (December 29, 1855, West Hartford – January 25, 1921, Boston) was a key figure in shaping public health in the United States. He completed his college education at the Sheffield Scientific School at Yale University in 1877 and received his PhD from Johns Hopkins University in 1881. 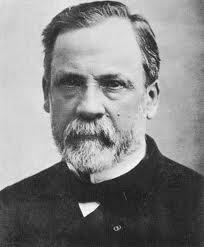 He taught at the Massachusetts Institute of Technology (MIT) from 1883 until his death in 1921, aged 65, initially as Associate Professor (1884), as tenured Professor (1891) and eventually as head of the department of Biology and Public Health. Also, he was curator of the Lowell Institute from 1897 on. This entry was posted in Year 3 TDIWH and tagged drinking water, public health, water, water history, William T. Sedgwick on December 29, 2014 by safedrinkingwaterdotcom. 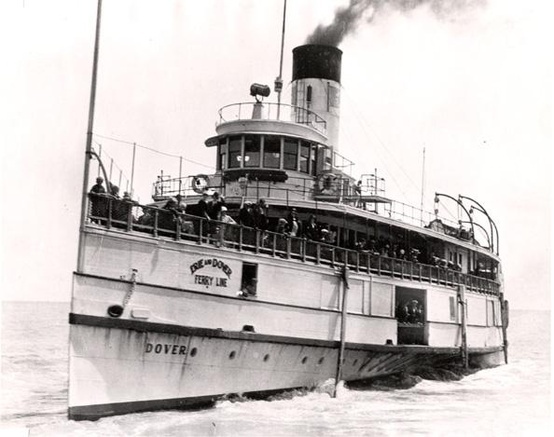 This entry was posted in Year 3 TDIWH and tagged 1918, drinking water, filtration, influenza, Minneapolis, pandemic, public health, typhoid, water, water history on December 28, 2014 by safedrinkingwaterdotcom. This entry was posted in Year 3 TDIWH and tagged anthrax, bacteriology, germ theory of disease, Louis Pasteur, rabies, water, water microbiology on December 27, 2014 by safedrinkingwaterdotcom. Commentary: Unfortunately, the 2004 Indonesian Tsunami has been the biggest water history story so far in the 21st century. 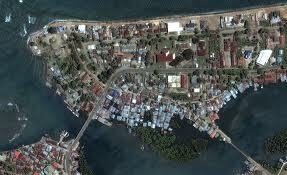 This entry was posted in Year 3 TDIWH and tagged Banda Aceh, earthquake, Indian Ocean, Indonesian Tsunami, tsunami, water, water history on December 26, 2014 by safedrinkingwaterdotcom. 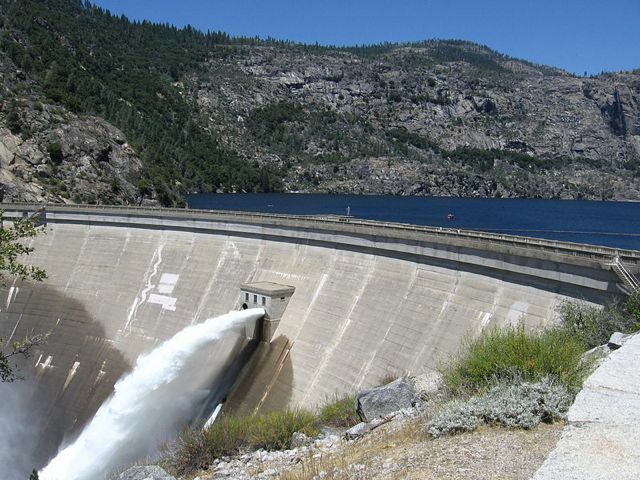 Hetch-Hetchy Bill Signed. “Washington, D. C.-The bill giving the city of San Francisco the right to secure its water supply from Hetch Hetchy Valley, in Yosemite National Park, to which considerable objection has been taken, was signed by President Wilson. President Wilson attached a statement to the bill in which he set forth his reasons for signing it: he is of the opinion that the pressing public needs of San Francisco will be best served, and that the usefulness of the park will not be impaired.” Commentary: This is the bill that killed John Muir one year and one day later. Investigate Possible Sources of Water Supply. “Sacramento, Cal.-It was decided by the City Commission to begin an investigation of possible sources of mountain water supply beginning January 1st. The work will be in charge of City Engineer Albert Givan. The investigation will be of a preliminary nature and will occupy three months. The cost is limited to $2,400. Three men will be employed to analyze the waters of the middle and south tributaries of the American River, the middle and south tributaries of the Cosumnes River and the Mokelumne River. Gauge measurements also will be made. The total cost of the investigation is expected to reach $10,000.” Commentary: We know now, of course, that the city decided to tap the American River in the city limits. The Mokelumne River was left to the East Bay Municipal Utilities Department to develop as a water resource. Sewer Work in Watertown N.Y. “Watertown, N. Y.-There are 46.2 miles of sewer within the city at the present time, according to totals secured by City Engineer Earle W. Sayles in figuring up the work done this season and in previous years….Mr. Sayles believes that by the expenditure of $5,000 for its purchase and maintenance the city could secure a sewer cleaning machine which would result in fixing up some of the old sewers in the city and cause a big saving. 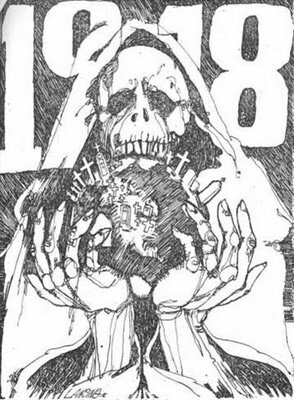 There are in use in the city at the present time some sewers that are close to a half-century old.” Commentary: They had aging infrastructure problems in 1913! 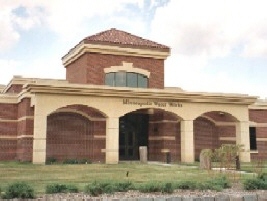 Combining Municipal Water Systems. 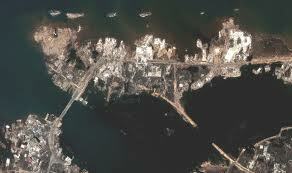 “Norfolk and Portsmouth, Va., neighboring cities, have municipal water works systems, each of which has been found to be reaching the limit of its resources, especially for meeting unusual demands; and the cities are now considering an arrangement for combining the plants for the mutual benefit of both. The consulting engineer of the Norfolk Water Commission, Allen Hazen, in a communication to the commission points out a number of advantages which would he obtained by such combination. This entry was posted in Year 3 TDIWH and tagged Allen Hazen, American River, drinking water, Hetch Hetchy water supply, John Muir, Mokelumne River, public health, Sacramento, sewers, water, water history, water supply on December 25, 2014 by safedrinkingwaterdotcom.